We get it. You want to feel fit and healthy for summer, without giving up food—or god forbid eating boring food. Of course, there’s always exercising like a wannabe Victoria’s Secret model, but honestly, who has time for that? What if you could eat your way to a svelte, strong and toned bod’ (with a little light exercise) thrown in, with the added bonus of not even lifting a finger to make said food? That sounds like heaven to us. It’s not a pie (mmm, pie…) in the sky dream either; our clever friends over at Youfoodz (our fave Brisbane food delivery crew) have done what they’re known and loved throughout the land for once again: given us the most amazingly tasty, healthy, portion-controlled meals to sort our summer eating out at the click of a mouse! If you haven’t heard of the Youfoodz timesaving genius yet a.) What have you been eating? b.) Hurry up and check them out because they are our fresh as fresh, never frozen, meal-prep saviour. And they have a new summer menu out now for your #cleaneating, #shredding, #delish pleasure. Youfoodz ain’t no fad-driven foodies either. All dishes are created and cooked by professional chefs and nutritionists so you can still eat all the things you love (like pizza), an amazing brekkie bagel, or a good-for-you pork schnitty… Drool. And that’s just the start, people, there’s raspberry and coconut protein pancakes, a sticky teriyaki beef and summer stirfry, a citrus salmon nicoise salad, and rocky road protein balls…oh, we could go on and on. Their next day Brisbane food delivery is straight-up the best we've come across (just get your orders in by Wednesday night), you can order fresh every week or as you like (because they have no contract BS), and all you have to do is heat and eat. 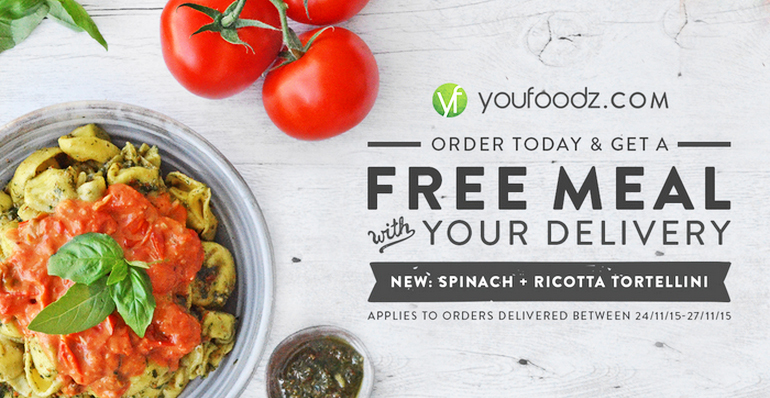 And because they love you, Youfoodz are offering you a free meal if you put an order in by Wednesday, so get clicking. TUL Note: This article is proudly sponsored by Youfoodz and endorsed by The Urban List. Thank you for supporting the sponsors who make The Urban List possible. Click here for more information on our editorial policy.